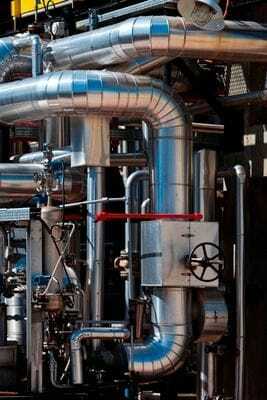 Owners and operators of pressurised or rotating plant, and piping are required to meet legislated compliance standards including those addressing risk management and safety. PT YTL Power in Indonesia operates a number of coal-fired power stations in Paiton, providing electricity to a developing Indonesia. In response to compliance requirements, they needed HRL to assess the performance and service life of the power station at various stages of service cycles. This included assessments of plant components such as processing lines, pipes, and vessels, in order to make informed decisions around planned outages and maintenance cycles to minimise plant downtime and maximise availability for reliable electrical output to clients. HRL has worked with PT YTL for over ten years, providing metallurgical and materials services relating to the ongoing risk management of the power station assets in Paiton. PT YTL engaged HRL to apply a state-of-the-art methodology in order to assess the current condition, fitness-for-service, and remaining life of all aspects of the power station, equipment, and assets. The inspection provided data which enabled PT YTL to develop strategic plans for life extension of equipment, including services such as: equipment integrity analysis, corrosion monitoring of structures and equipment, corrosion damage evaluation, and fatigue and creep damage to predict the parts of the plant most at risk of a failure. The Plant Life Assessment service provided by HRL allowed PT YTL to make informed decisions to maintain high plant availability, which resulted in optimal electrical output, increased productivity, and improved reliability of electrical supply to clients. These services also enabled PT YTL to make informed decisions around managing resources and risk, without additional costs or drops in revenue as a result of unexpected plant or asset failures resulting in unplanned outages.